Joe Chalmers has no regrets from his Parkhead days but says it's time to prove himself. Former Celtic youth product Joe Chalmers has no regrets about his time at Parkhead but says he’s ready to push on now and prove he can play regularly in the Scottish Premiership. 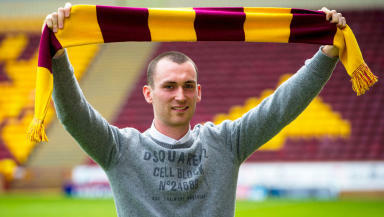 The left-back has joined Motherwell on a two-year deal, making him Ian Baraclough’s first signing of the summer. 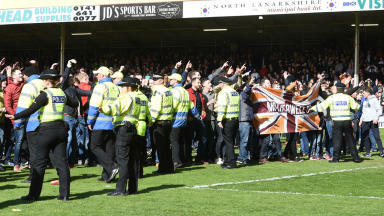 It comes just days after 16 players were released from the Fir Park side. Chalmers, who joined the champions at the age of 10, only made three appearances for the first-team but spent the second-half of the 2014/15 season on-loan to Falkirk where he started 10 matches. The 21-year-old wants to build on that run of games and put the injury problems that plighted most of his Celtic career behind him. "I loved every minute of it," he said. "I still wouldn't change my time at Celtic for anything. If I could grow up and learn how to play the game and learn from the experiences I had in some of the youth European games I wouldn't change that." 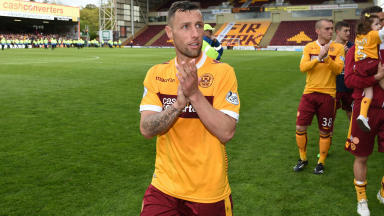 Chalmers impressed Baraclough after joining his squad for training at the end of May as they prepared for the Premiership play-off final. He says Motherwell’s top flight status wasn't the deciding factor in his move, though, and he wouldn't have been put off signing had they been relegated to the Championship. "I want to play in the top flight, that’s where I want to test myself," he said. "That’s where I feel I belong, so I’m delighted they stayed up. "But for me it wasn't a big issue, I just want to get in and play games. If they’d went down it still could have happened, you just never know."